Boasting an outdoor pool, Vathi Hotel is a 2-storey complex of independent studios, situated 100 metres from the beach in Vathy, 10 km from Gytheio, and built in the traditional style of Mani. The stone apartments offer high quality amenities and services, with warm hospitality. The quality furnishings and the outstanding decoration make sure that the guest will enjoy an extremely pleasant stay. 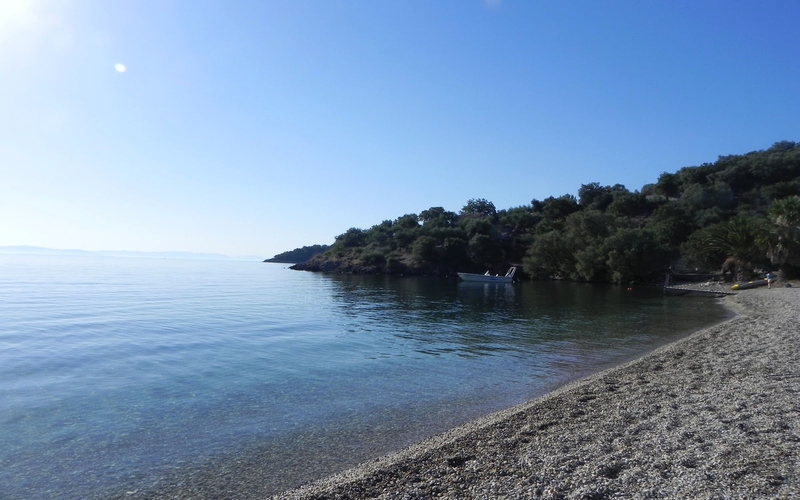 The sandy beach is 2 km long, and ideal for swimming, taking walks and enjoying various water sports. 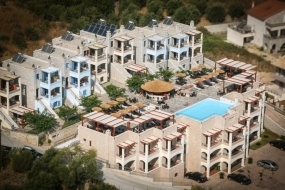 To sample the excellent local cuisine, there is a taverna situated by the sea, 50 meters away from the studios. The spacious studios feature balconies to enjoy the magical views of the sea, and the beautiful moonlit nights. The location offers an ideal starting point for excursions to various spots in wider Laconia. 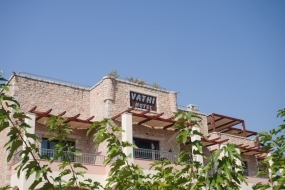 In Vathi Hotel, you may choose to accommodate yourself in well- furnished apartments that promise a comfortable stay with all the necessary amenities. 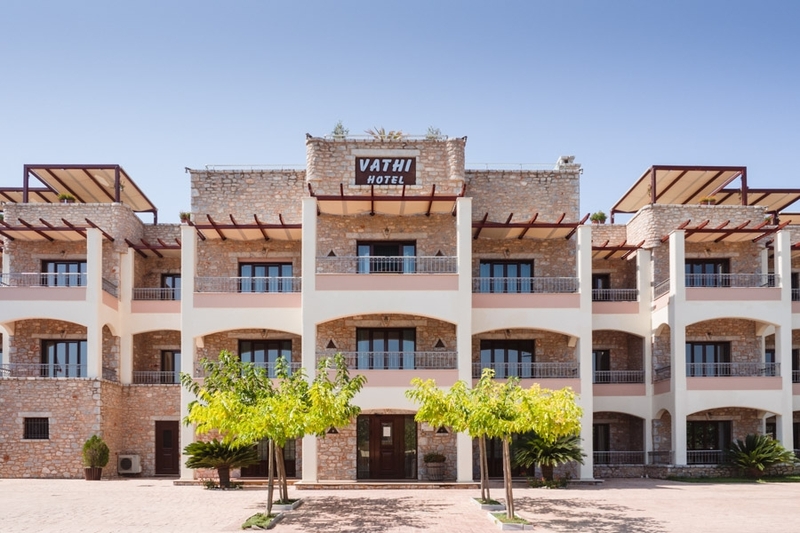 In a modern and elegant atmosphere, the apartments offer guests high quality services and are fully equipped with cooker, fridge and utensils, as well as air conditioning, TV and Wi-Fi. 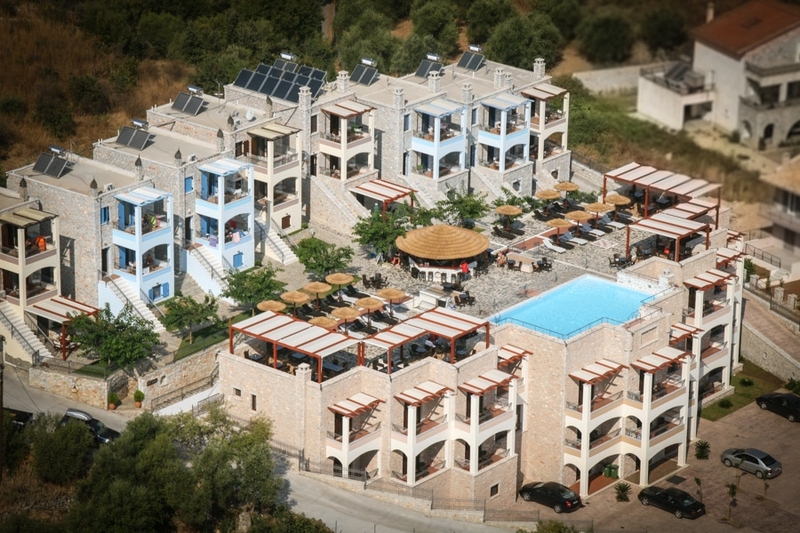 In a modern and elegant atmosphere, the apartments offer guests high quality services and are fully equipped with cooker, fridge and utensils, as well as air conditioning, TV and Wi-Fi. The apartments are located in the main building on the 2nd floor. 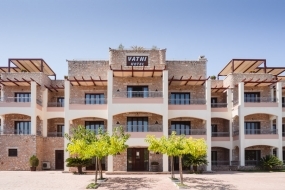 The residential complex Vathi Hotel offers spacious stone-built suites located in architectural harmony according to the traditional style of Mani. Particularly attentive, the suites are furnished with a double bed and two sofas that convert into beds. Also, they offer all modern amenities and are fully equipped with cooker, fridge and utensils, as well as air conditioning, TV and Wi-Fi. Furthermore, the individual balconies offer magnificent view and overall we would say that the suites provide the guests a pleasant stay, relaxation and a sense of nobility. 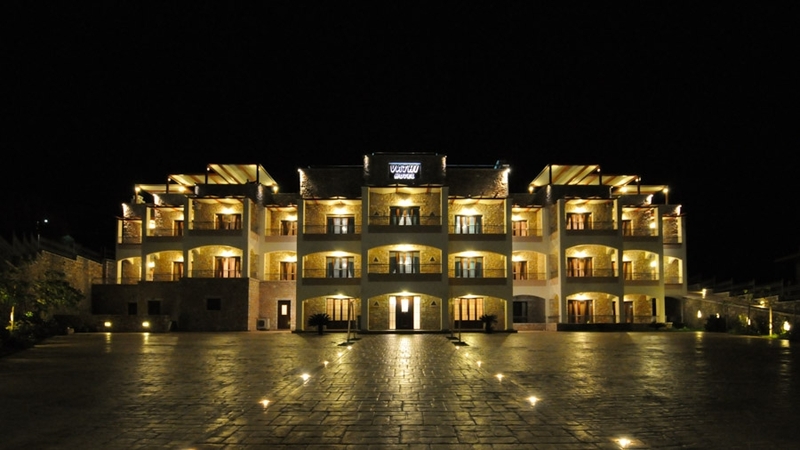 Superior Family Suites of Vathi Hotel are distinguished by quality furnishings and exquisite decoration. The spacious apartments of 40 sq.m. are provided with a double bed and a comfortable living area with sofa that can be converted into a bed, in order to accommodate additional guests.